Don’t miss the premiere of American Ninja Warrior: Ninja Vs. Ninja on August 13, Monday to Wednesday at 8:05pm only on AXN (StarHub Ch 511 and Singtel TV Ch 304)! 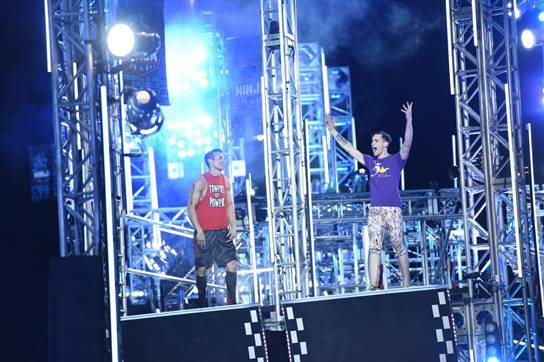 Epic competition series, American Ninja Warrior: Ninja Vs. Ninja is back for another season! 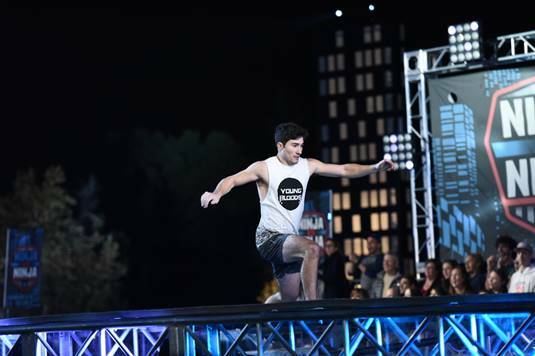 Bigger and more intensive than before, the show will feature even more challenging obstacles than in the past, incorporating speed, human agility, skill and a whole strategy of racing. 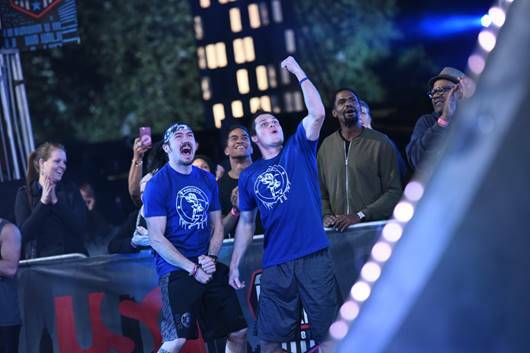 Hosted by comedian Matt Iseman and former NFL player Akbar Gbajabiamila, American Ninja Warrior: Ninja Vs. Ninja pits three-person athletic teams against one another on a physically demanding, side-by-side obstacle course that tests endurance and speed. While not everybody can train as hard as these athletes, AXN has collated a list of tips from fitness and lifestyle influencers on how to keep fit during a busy working schedule. Office life might leave you with little time for after work activities, but you can still stay active with simple exercises that could be done within your office environment. Simple adjustments in the office can make a big difference in the long run. For example, sitting on an exercise ball instead of an office chair can help to improve your posture. If you get back pains from sitting in the office all day, try switching to a standing desk which can straighten your spine and help to burn extra calories. It’s easy to make excuses and procrastinate when it comes to exercising during a work week, but sometimes all you need is 30 minutes of free time a day to get in shape! “The afternoon nap has never been so important in working life. Whether your job involves working on heavy machinery or even as routine as data entry, closing your eyes for 15 minutes to rest can help you to stay productive. Remember to pace yourself during lunch hour!” Zulfadli added. Eating healthy doesn’t necessarily means eating blandly. There are plenty of healthy food options available these days, and if your office area doesn’t have any, you can always consider food delivery services. Grace Myu, lifestyle blogger from Malaysia recommends readers to make healthy meal preps from home because diet is key to maintaining a fit body. This also helps to eliminate the stress of thinking of lunch options then resorting to an unhealthy one (we’ve all been there!). Grace also suggests to opt for alternative snacks such as seedless grapes and unsalted nuts to cut down on junk food binging. “Always remember to hydrate yourself. We tend to have the misconception that we don’t need to drink much due to our light intensity office work when in fact, air-conditioning removes moisture in the office and ultimately takes it away from you,” shared Zulfadli. Don’t miss the premiere of American Ninja Warrior: Ninja Vs. Ninja on August 13, Monday to Wednesday at 8:05pm only on AXN (StarHub Ch 511 and Singtel TV Ch 304). If you have never cast a second look at your void deck where the shabby man spends the night, or a cartload of cardboard and recyclables which the auntie pushes during the day, The Salvation Army hopes to change your mind with its latest campaign “Making the Invisible, Visible”, in partnership with social enterprise imaginem. The living spaces of beneficiaries with The Salvation Army will be shared by imaginem through black and white photography, whilst personalities are with them on the case. Many a times, they are with us in our neighbourhoods, but look again, the elderly with over-clutter in the flat is in need of basic necessities. Personalities have joined The Salvation Army and imaginem in this campaign, to be with the poor and their spaces in the picture to share about their situation. 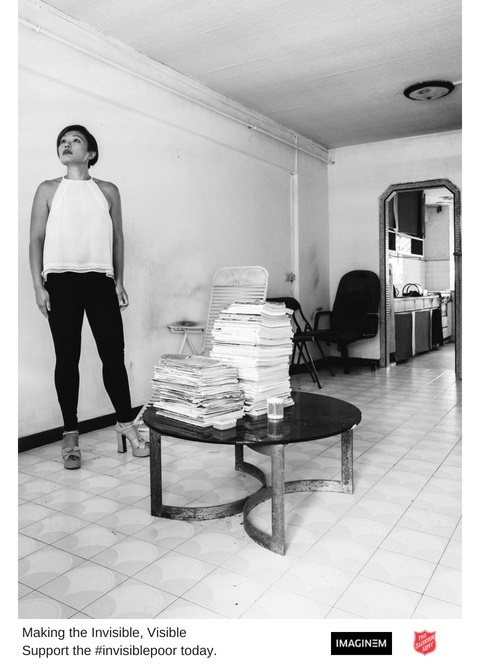 ACRES founder and Member of Parliament Louis Ng, actress Cynthia Lee MacQuarrie and The Food Bank Singapore co-founder Nichol Ng in the spaces of Singapore’s poor will make you do a double-take. The campaign is inspired by a similar one by The Salvation Army in Finland last year, which featured Rovio’s Peter Vesterbacka and former Finnish president Tarja Halonen as homeless people. The Finnish campaign won awards for its portrayals, and The Salvation Army hopes to bring the same message to Singapore. It has partnered social startup imaginem to run the photography campaign, with celebrated photographer Aik Beng Chia behind the lens. The Salvation Army plans to feature several well-known personalities in photographs inspired by the stories of its beneficiaries, and will be rolling out the campaign over a year. The campaign will raise funds to support the poor who have fallen through the cracks via a giving.sg campaign page which can be found here.